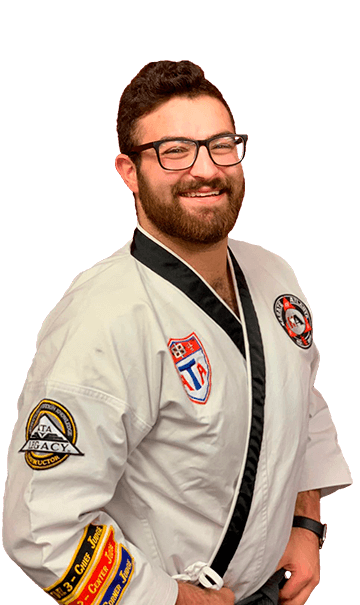 When I became the Chief Instructor of this school, I made a commitment to serving and empowering the community of Johns Creek by teaching children and adults the confidence, leadership, and fitness skills that can only be achieved through martial arts. Songahm Taekwondo is the style of martial arts practiced by ATA Martial Arts students. While famous for its wide range of kicks and known as the "Kicking Art", Taekwondo also emphasizes breaking power, such as splitting wood and bricks using only the bare hands and feet. Training involves a variety of techniques, to include punching, kicking, dodging, jumping, parrying and blocking. Taekwondo also focuses on sparring and learning formal patterns of movements called forms. Songahm Taekwondo is a style specifically developed over 20 years by Eternal Grand Master H.U. Lee to make it accessible to anyone willing to learn and to truly reflect Taekwondo and the strength and beauty of its kicking techniques. Each belt in the Martial Arts is full of meaning and philosophy. As the belt colors progress from white to black, it symbolizes the knowledge and power the student has obtained and experienced. The White belt is the beginning – showing a lack of knowledge. The Black Belt is the highest level – showing a perfection over the beginning level. However, as other arts feel that Black belt is the end, we do not. For the ATA, it is the beginning. Black belt is the time in a Martial Artist's life where he/she is able to truly begin to enjoy the beauty of the art and the amazement of their ability. To go from rank to rank, there are different time intervals and requirements. Please know, your black belt is waiting for you! Grand Master Soon Ho Lee is a 9th degree black belt and second Grand Master in the ATA. Karate Atlanta is incredibly honored to have Grand Master Soon Ho Lee with us! Grand Master has already started to share with our instructors the decades worth of knowledge that he has accumulated over the years. Grand Master looks forward to meeting and instructing all of the Karate Atlanta students. Take the opportunity to add him as a friend on Facebook and keep up to date with his instruction. Click here to add Grand Master as a friend on Facebook! 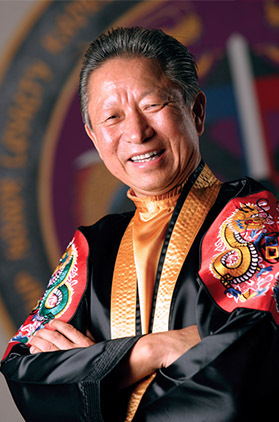 Read more of Grand Master Soon Ho Lee’s Biography on the official ATA Website here. One of the most fun parts of martial arts training is the ability to test your skills by competing in a tournament. Tournaments are not only fun for competitors, but they also become a great social experience for parents as well! There are currently 130,000 ATA Martial Arts members worldwide. ATA Martial Arts students compete in local tournaments against other ATA schools, advancing from State levels, to District levels, to yearly National competitions in Las Vegas, NV and Orlando, FL. The competition winners gather at the ATA World Expo Tournament in Little Rock, AR in the summer, competing against finalists in one of the largest martial arts competitions in the world.